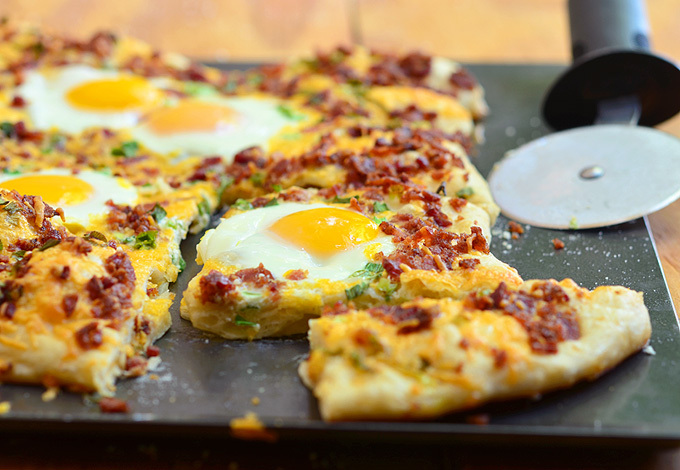 Cheesy Breakfast Pizza topped with crumbled bacon, sharp cheddar cheese, and sunny-side up eggs. Hearty and delicious, it’s the best way to start your day! One kitchen staple I always stock up on is cheese. We like to keep on a hand a few packages of either sliced, shredded or bulk at all times to enjoy as a nourishing snack or to use in cooking. 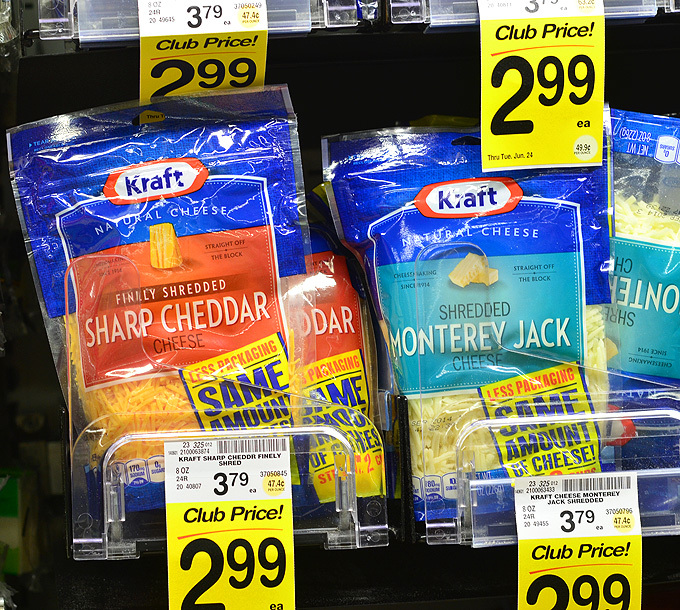 KRAFT is my go-to brand and I am so excited that all varieties of KRAFT natural shredded cheeses are now available in their new stand-up pouches. This innovative design contains the same 2-cup amount as the old pillow packs but uses less packaging. The redesigned pouch is not only good for the convenient but also convenient to use. It stands up on the counter, making it easy and less messy to scoop up what I need! I usually buy our weekly supply of KRAFT cheese at our neighborhood Vons supermarket. This Safeway branch is a short 3-minute drive from our house and their aisles are laid neatly I can be in and out in no time. They also have amazing deals at Safeway Just For You so make sure to check it before heading to the store. Cheese is not only an excellent source of protein and calcium, it’s also a quick way to add amazing flavor to our meals. One of our favorite ways to enjoy cheese at home is, of course, on pizza. 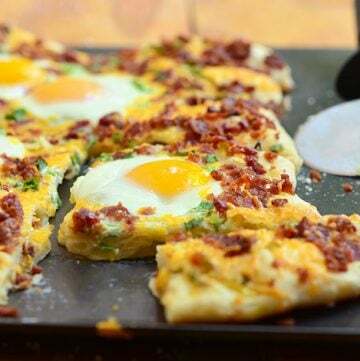 I am always on the lookout for tasty spins on this classic comfort food so I was pretty excited when I discovered this cheesy breakfast pizza on the KRAFT website. 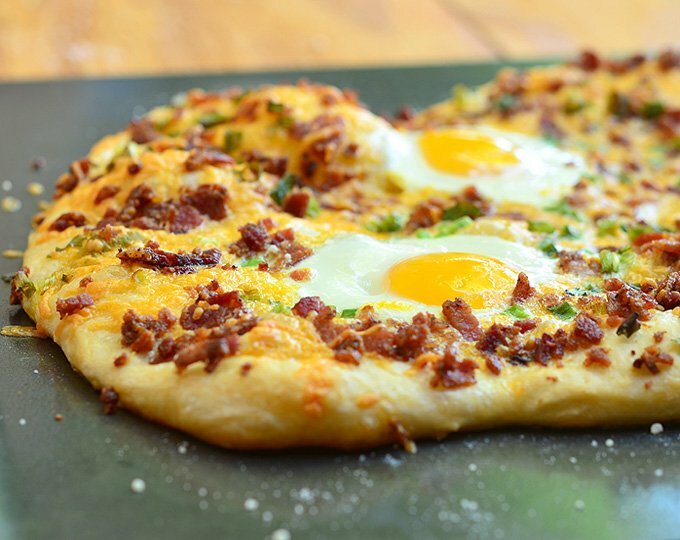 Loaded with crisp bacon crumbles, sunny side up eggs, and sharp cheddar cheese on a crispy pizza dough, it’s a scrumptious morning treat you’d love waking up to! It’s also totally portable and perfect for on-the-go breakfast or anytime pick-me-up snack. This breakfast recipe uses ready-made pizza dough and simple pantry ingredients, you can bake and enjoy it any day of the week! Roll the pizza dough as thin as possible so it bakes up the same time as the eggs. Pile cheese and the other toppings into a “wall” around the eggs so they don’t slide off. Cook the bacon until crisp but not overly browned as they will continue to cook in the oven as the pizza bakes. Not a fan of bacon and sunny side up eggs? Swap with cooked breakfast sausage and scrambled eggs! You can store the leftover pizza tightly wrapped in plastic film or foil for up to 3 days in the refrigerator. Reheat in a 450 F oven for about 8 to 10 minutes. 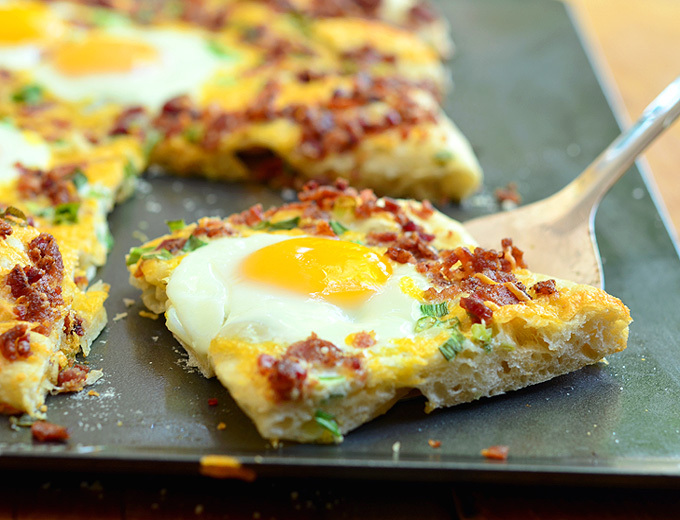 Give this pizza a try for breakfast today. It’s a hearty and delicious way to start your day. Want more unique ways to get your pizza fix? This bubble pizza is a fun pull-apart version and this Southwestern pizza makes a fantastic low carb option. 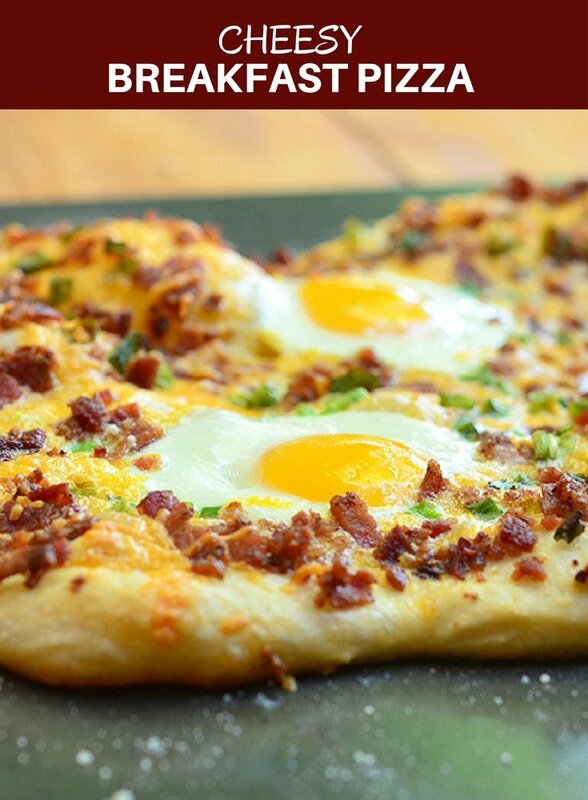 Cheesy Breakfast Pizza topped with crumbled bacon, sharp cheddar cheese, and sunny-side up eggs. Hearty and delicious, it's the best way to start your day! Heat oven to 400 F degrees. Spray a baking sheet with cooking spray. Pat and stretch dough into a 14 x 6 rustic rectangular on the prepared baking sheet. Brush with olive oil. Top dough with 1 cup of the cheese and half of the green onions, leaving four 3-inch areas of the dough untopped (eggs will be placed here). In a bowl, crack eggs one at a time and gently slip on the un-topped space of the dough. Top dough with bacon, the remaining cheese, and green onions, being careful not to top the eggs. Bake for 20 to 25 minutes or until the cheese is melted, the eggs are set, and the crust is golden brown. First Published on June 13, 2014. This is the worst choice of font I have ever seen. Including Comic Sans.